Connecting various towns in the canton of Geneva. Ensuring cross-border connections between Switzerland and France. Providing school transportation for the students of a Geneva-based private school. RATP Dev Suisse Transport Public has been active in the canton of Geneva for over 40 years. 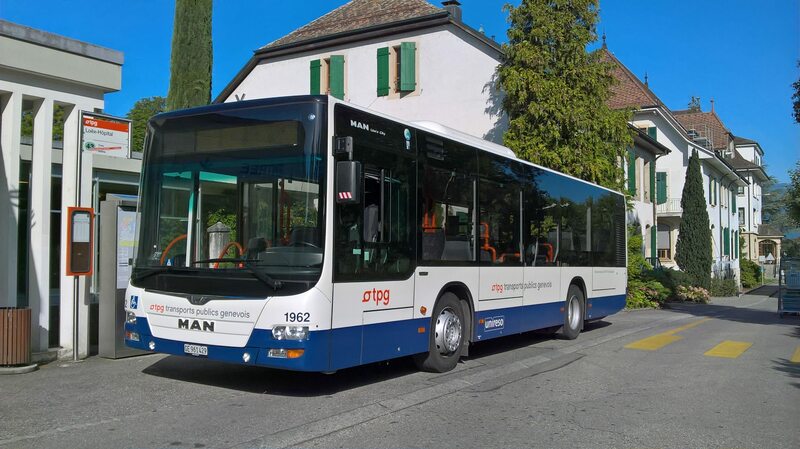 The company’s core business is operating regular routes through subcontractors for Geneva Public Transport (TPG). An urban transportation subsidiary of RATP Dev Suisse, RATP Dev Suisse Transport Public has made it easier for students, tourists, local residents and professionals to travel, both locally and across the border. The subsidiary now operates four bus lines in the canton and a cross-border route, to offer comprehensive service. A weekend night service with six Noctambus lines has also been developed. The company provides service year-round. The company is also committed to sustainable development. Every year, it assesses greenhouse gas emissions and tracks its carbon footprint with the help of an accredited organization. The refueling system is consistent with commitments to the environment. That is why 30% of fuel used is biofuel.